Congratulations to all the participants and winners! The third annual Undergraduate Summer Student Research Conference was a huge success. Congratulations to all presenters and huge thanks to all who helped to organize the conference from judges, to volunteers, to staff members! 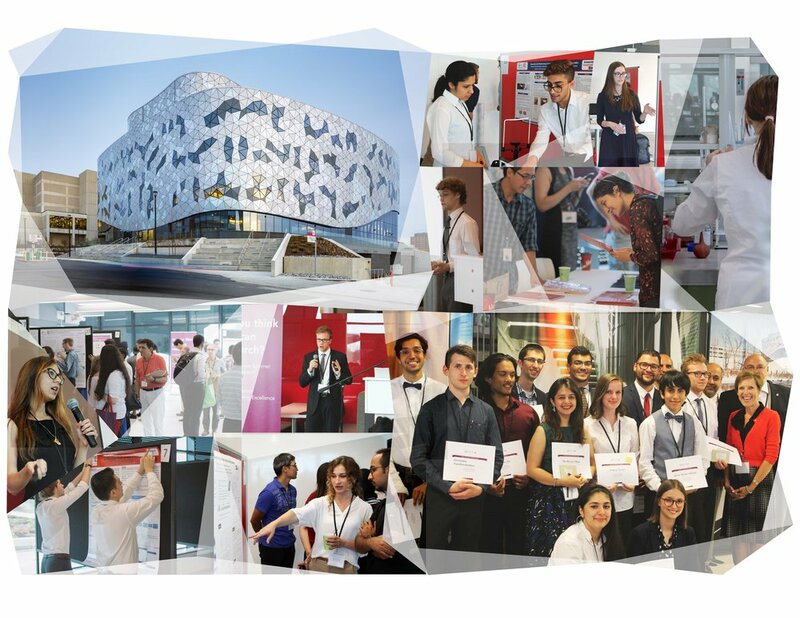 On Thursday August 16th, Lassonde hosted the third annual Undergraduate Summer Student Research Conference. The conference included students working on research projects from the Lassonde School of Engineering, Faculty of Science, Faculty of Health, and the Schulich School of Business. There were over 70 undergraduate students who presented their research this year, with 5 students giving oral presentations and over 60 students who used posters to present their research. The students have been conducting research in both science and engineering disciplines with Lassonde professors, and working on a wide range of projects from the construction of an unmanned vehicle for underwater exploration to creating technology to be sent into outer space on nanosatellites. This year, Lassonde has welcomed students not only from our home Faculty but also from other disciplines at York and beyond, including students from the GTA, other universities in Ontario, and international students visiting from as far away as Germany, India, Mexico, and China. The goal of this conference was to celebrate the research and hard work that has been done by students over the course of the summer, and to inspire them to pursue further research careers. The event also helps prepare the students for professional conference environments that they will encounter in their future careers. Thank you to all the professors, graduate and undergraduate students, staff and volunteers for making our research programs such a success and for their contributions to organizing the 2018 conference. We are also grateful for the support from NSERC, Mitacs, the Office of the Vice-President Research & Innovation (VPRI) and the Faculty of Graduate Studies (FGS) at York.